Many of us have felt a rush of frustration of being trapped in a car with a screaming child, while the passenger awkwardly scrambles through their bag looking for something, anything to stop the screeching infant. Maybe you've been driving down the M25, while a red-faced infant kicks the back of your chair, making it very difficult to keep your eyes on the road. However, Kerry Conway, author and creator of lived with love, gives us a few tips to make travelling with kids a little less stressful. We have travelled with our girls on both flights and long car journeys and I feel similar tips apply whether you're travelling by car, bus or plane. I used the advice I was given to keep the kids entertained for long car journeys during a flight and all went well! Children get bored easily and become restless to say the least, so being prepared and having things to occupy them, are essential to make the journey as smooth as possible. Whether in the car or on a plane, you don't want them to overheat or be uncomfortable/restricted so put them in a few light layers (vest, long sleeve t-shirt) and then layer up with a warm Gilet and blanket. If you are driving, you can take a coat and hat for if you get out at the service stations. If you have babies/younger children, try and sit with them. In the car, this might mean squeezing in the back! They tend to be happier if they can see you and you're able to play and give snacks easily. If you can, try and leave around nap times, this way they should sleep most of the way and still be in their routine when you get there, so they stay happy! Snacks are essential for keeping the kids quiet & not begging for treats every 2 seconds! As well as snacks, lots of toys are essential, Try and take a good variety so when they get bored with one, you have something else to pull out. When they get bored with toys, use your imagination, sing and dance, play peekaboo, play eye spy, and practice animal noises. If you're on a plane and need quieter things, try reading books or having some child-friendly games/TV shows on the iPad! If you're driving, take regular breaks and make the most of them. We make the decision to stop every two hours as that is long enough for anyone to sit in a car, let alone a toddler. 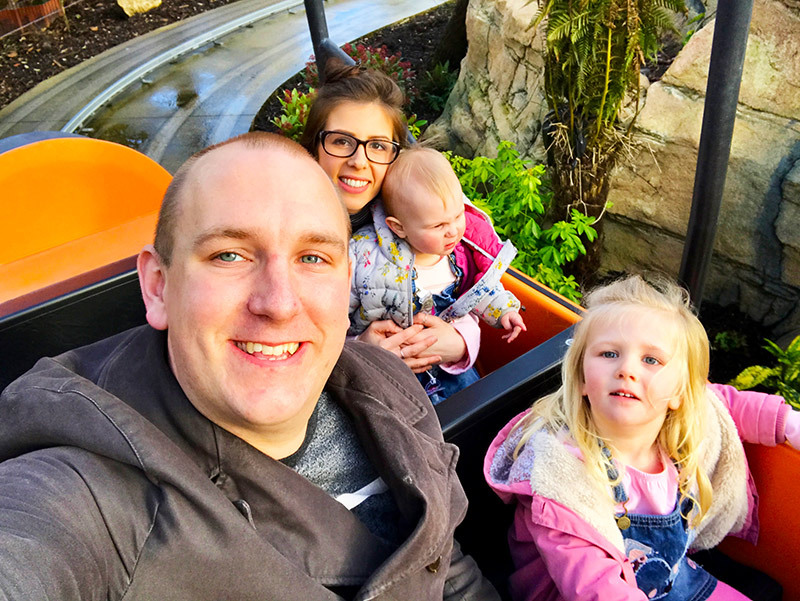 We make sure we let them run around a bit in the service station, change nappies, let them sit on all the rides in the service stations, look around the shops and just let them have a bit of freedom before being stuck in the car seat again. All these things don't have to add hours onto your journey, just a few minutes will feel so much better for you and them. So that's my tips for travelling, they generally work so well you, you just need to be on the ball with keeping them occupied!